This year we explored the dangers of social media – specifically Snapchat as a medium for bullying. 1. Tutor time was extended on three days – Monday, Wednesday and Friday. We supplied different clips to be shown on those days and some questions that could be used to open up discussion with the different tutor groups. 2. We also ran different competitions with the junior school. An essay competition with 3rd Years- Winner Daniel O’DwyerAll of these will be based around Snapchat and bullying. 3. Finally school management put up a new Anti-Bullying Display Cabinet in the corridor just opposite the teacher’s entrance. Each class group got to sign their name to an Anti-Bullying promise and display it in the cabinet to show how strongly we all feel about having a bully free school. Many thanks to all of our Anti-Bullying Team. 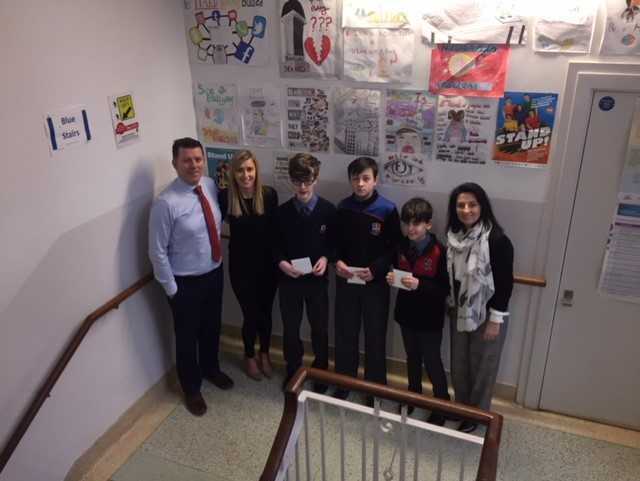 0 responses on "Anti Bullying Week Winners 2017-18"